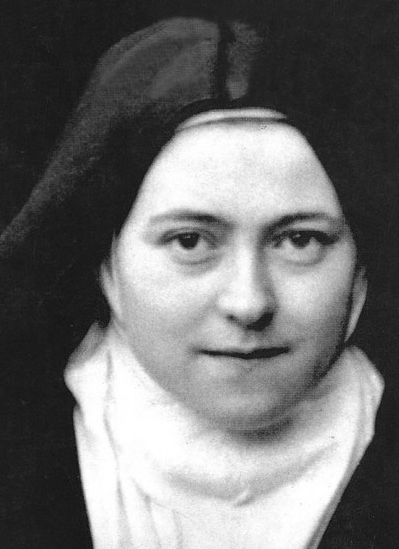 Here’s Day 6 of the St. Therese of Lisieux Novena! Most Blessed Saint Therese, hear my pleats as I ask for your intercessions. Praying for my husband to be stressed free from worries & that our bills are completely paid in all areas. Praying for my niece, Veronica to be steady with her attention towards her 3 year old boy, Julian. Make Veronica a real hungry for the Lord! May God bless her and heal her mental illness, bipolar. Praying for all persons that come into Veronica’s home are Good God fearing people, so help me God. Praying that Veronica stops gossiping, and renew her faith. Please continue praying for me that my back stop being in so much pain, and that God would give me a husband. And please for my jobs that’s God help to do a great job and being in pain. Continue praying for my son and his family. St Therese I’m asking you for prayer for son brother he is sick God knows what is wrong with him please that he gets better soon. Praying for the right college for my daughter. That I can live the Little Way and share it with other people. I pray for my brother recovery from his kidney problem. Please send me also a prayer of Mother of Perpetual help and St. Jude. Thank you! Mary, Model of Christian love, we know we cannot heal every ill or solve every problem. But with God’s grace, we intend to do what we can. May we be true witnesses to the world that love for one another really matters. May our daily actions proclaim how fully our lives are modeled after yours, Mother of Perpetual Help. Mother of Perpetual Help, you have been blessed and favored by God. you became not only the Mother of the Redeemer, but Mother of the redeemed as well. We come to you today as your loving children. Watch over us and take care of us. As you held the child Jesus in your loving arms, so take us in your arms. Be a mother ready at every moment to help us. For God who is mighty has done great things for you, and God’s mercy is from age to age on those who love God. Intercede for us, dear Mother, in obtaining pardon for our sins, love for Jesus, final perseverance, and the grace always to call upon you, Mother of Perpetual Help. Please pray for the conversion of Travis who is in need. Please pray for his healing of his heart, mind, body, soul, and spirit. Please also pray for my healing and discernment for my relationships. I am struggling to understand what my next step is. St. Therese, I pray for forgiveness of sins in any way I may have come short of the Glory of God. My prayer intention is for my dear friend and her husband, that they will be able to conceive a child and have as many children as the Lord wishes for them. May they also find peace in the journey and know that they are in the perfect place at the perfect time and that the Lord will always provide for them and their needs. God bless you. Mr. McMullen, husband and father of four. Firefighter that have into despair over financial issues. Both lost their lives in suicide. Blessing. Thank you St there’s just 6 days into the novel and you have already started to answer my prays. I thank you for the financial help. I continue to pray for money to finance my son’s tuition fees and my son’s success with his studies and with his exams.